Randomized controlled trials (RCT) provide evidence based medicine that has substantially improved prognosis, symptoms and quality of life of patients with chronic heart failure. Most importantly, negative RCT have stopped super fluent or even harmful therapies. Recent trials have however required thousands of patients to achieve statistical significance. 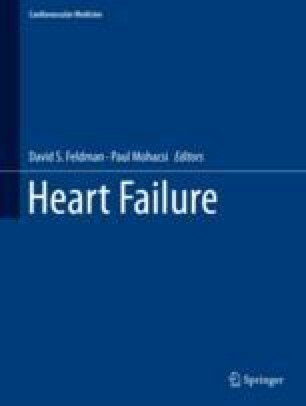 In heart failure, variable etiologies, the manifestation as systolic or diastolic heart failure, chronic stable or acute decompensated heart failure, multiple comorbidities and complications pose a major challenge to clinical studies. For good reasons, many patients have been excluded from trials since their prognosis was foreseeable too good or too fatal. Studies focus on patients with coronary heart disease or non-coronary etiology with variant results. So far, no drug has provided benefit in studies with diastolic heart failure. Nevertheless, most patients with diastolic heart failure are treated with drugs used in systolic heart failure mostly since they are hypertensive. Diuretics are used without evidence of benefit in large trials simply since considered essential for re-compensation in acute heart failure and for fluid control in chronic stable heart failure. The age of our heart failure patients in daily practice is well beyond 70 years, on average 75 years in our INH-registry, and thus older than in most clinical studies. But they are treated as recommended in guidelines based on substantially younger samples. Older patients may have other requirements of therapy. Quality of life out of hospital may be a primary end-point for an aged patient rather than mortality. This may be true also for patients with severe comorbidities, mostly excluded from clinical trials. Standard therapy of diseases failed when they occurred as a comorbidity of heart failure. But can therapy of heart failure be the same in the presence or absence of comorbidity? In a patient with advanced cancer and chemotherapy-induced cardiomyopathy, we would probably be reluctant to recommend an Implantable Cardioverter Defibrillator (ICD). However, heart failure itself may have a similar morbidity and mortality. So what does the mega-trials mean for the individual patient? Weltgesundheitsorganisation (WHO). WHO definition of palliative care. http://www.who.int/cancer/palliative/definition/en/ (27.03.2013).